We gladly appreciate your interest in our Consignment Services. 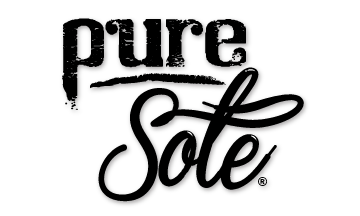 Please email us at shop@puresolekicks.com. At this time we are only accepting DEADSTOCK sneakers. – Email us with the items you wish to sell. – If we are interested we will allow you to ship them to our business address. Our experienced staff will check the sneakers for their condition as well as authenticity. – Once the sneaker is sold we will notify you via email. – You will receive a payment of 80% of the sale price ORIGINALLY agreed upon on your shoes (our commission is only 20%) via PayPal. NOTE: We have the right to reject any sneakers. You are responsible for securely shipping any items to us, preferably with insurance & signature confirmation as we are not liable for your shoes at any time during transit if they get lost or damaged. Although we intend to handle your shoes with the utmost care, we are not responsible for damages such as fire, flood, theft, etc.. regarding your shoes at any time. You have the right to take your shoes back at any time but will have to pay a 15% service fee. If your item has not been sold within 90 days, we may offer to purchase it from you at 50-60% of the market rate or allow you to receive it back with only a 10% restocking fee.